Caskey-Beazley, Attic Vase Paintings (MFA), no. 146. 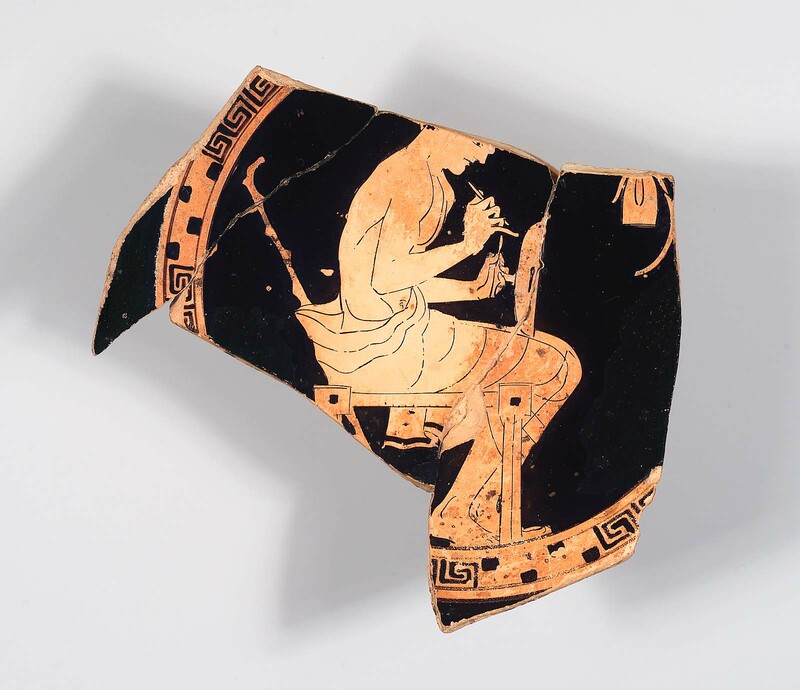 Cup fragment, interior: A young man is seated on a stool, decorating a kylix. Holds a vial, probably a container for glaze, in left hand. An oil flask and a strigil hang on the wall in the background. A walking stick leans behind him.